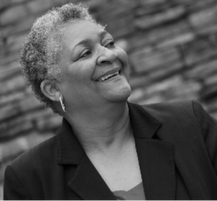 Lillie is the founder and executive director of Center for Academic Excellence (CAE), located in Historic South Atlanta. CAE is an afterschool and summer day program for underserved youth living in Southeast Atlanta. As executive director, Lillie is responsible for the overall strategic planning and operational performance of CAE. Her leadership responsibilities extend to staff, program services, program expansion, and the execution of CAE’s mission. Lillie’s nonprofit experience includes the recruitment and retention of quality staff, as well as research and coordination of professional development opportunities. Further, Lillie provides guidance, facilitation, and coordination in the development of strength-based, culturally-sensitive, individualized service plans and projects for youth and families for academic, and social empowerment. Nicole Johns is a social worker with a focus on children and families. I have my bachelors in psychology and a Masters in Social Work both from Clark Atlanta University. I am a therapist, a trainer and an encourager for others to be the best they can be. I speak moderate Spanish and I love serving communities of all cultures. 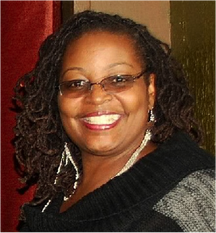 Nicole Johns is board chair of Center for Academic Excellence (CAE), located in Historic South Atlanta. CAE is an afterschool and summer day program for underserved youth living in Southeast Atlanta. As board chair, Nicole is a trusted advisor to the CEO as she assist and ensures the development and implementation of CAE’s strategic plans. As board chair, Nicole officiates and conducts meetings, sets agenda, and ensures meeting are called and held in accordance with the organization by-laws. Nicole provides leadership and ensures committee members are aware of their obligations and that the members comply with its responsibilities; ensures minutes are completed, and accurate, retained, included and reviewed at the next meeting. Nicole participates in fundraising, reviews and approves budgets and upholds fiduciary responsibilities, to list some of her many responsibilities. Nurse supervision, group therapy facilitator, Mary practiced nursing for a total of 45 years, 15 years in general nursing, 30 years in mental health and substance abuse. Also, I have preceptor for new nurse and nursing students. I am currently retired, but plan further my education, as well getting special training for diabetic nurse educator. 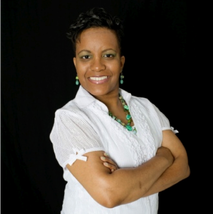 Lavonya Jones is a fierce new generation Business Strategist and Leadership Coach with over fourteen years of business, ministry and leadership experience. Lavonya Jones has a B.S. in Entrepreneurship from Hampton University, a M.A. in Organizational Leadership (with a Concentration in Coaching and Mentoring) from Regent University and is completing her Ed.D in Organizational Leadership from Argosy University. This powerhouse businesswoman is also a sought after seminar speaker for youth entrepreneurs, Christian thought leader, author and entrepreneur that will help revolutionize your life, business, ministry or youth program. Letitia "Tish" Ford graduated with honors from Kaplan University with a Bachelor's degree in Business, and is currently pursuing a Master’s degree in Rehabilitation Counseling and Case Management from Fort Valley State University. Tish is an accomplished professional with 17 years of progressive program and project management experience focusing on budgeting, managing grants, coordinating meetings and events, supervising volunteers and entry- and mid-level staff, and cultivating donor and vendor relationships. 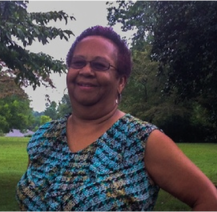 Tish has a vast amount of experience in grant applications, implementing capital reserve funds, and fundraising. Her fundraising experience as a board member will help to build capacity and sustainability for CAE, as a part of Phase IV of our strategic marketing goals. Tish’s nonprofit experience and participating in board meetings has garnered her with a wealth of knowledge regarding legal, governance and ethical responsibilities regarding funds development. In addition to CAE, she volunteers with DeKalb County Animal Services' LifeLine Animal Project. Alexandra Njynski is a 20-year retired Signal Officer and Commander, who as a Signal Officer was highly intelligent, forward-thinking and had a complete knowledge of various communication technologies. Major Njynski was in charge of Army Signal Unit operations and was the second-ranked officer in the most of the units. Major Njynski logistics duties included overseeing signal communication equipment to ensure the unit had adequate inventory of everything it needed, as well as expertise in planning, installing, integrating, operating and maintaining the Army's voice, data and information systems, services and resources. Major Njynski was responsible for multi-million dollars projects, purchasing, maintenance, inventory, and security of signal equipment. Brian Mott is a retiree with UTC-Carrier. Brian is a graduate of Mt. Vernon Nazarene University with a degree in Business and Marketing. Brian has vast experience in selling industrial services, equipment, and products with Carrier and Trane. Brian is proficient with MS Office and customer relations management software. Hi has excellent ability to communicate clearly with managers and consumers; has excellent customer relations and interpersonal skills, along with strong organizational and presentation skills. Brian has the ability to develop and present successful strategic recommendations and plans, and is experienced in profit and loss management, credit management, and financial reporting. Brian has a love for young people, especially those who are underserved and are at risk of not staying in school.